Social media giant is interested in chatbots not your banking information. A recent report from the Wall Street Journal blew Facebook's aims in the financial services sector out of proportion leading to backlash from users concerned over how the social media giant might misuse their financial data. However, the company is not interested in building a dedicated banking feature nor is it asking for credit card transaction data. Instead Facebook is working with banks to support chatbots that allow users to access banking services right from within its Messenger app. 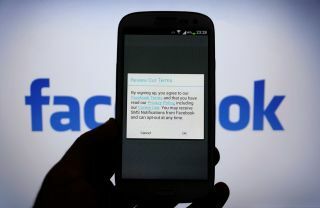 In Singapore for instance, Citibank customers can connect their accounts to the social network which allows them to ask the bank's Messenger chatbot to check their balance, report fraud or receive customer service if they're locked out of their account. Facebook announced chatbot integration last year and launched the new feature in March. The company also works with PayPal in over 40 countries which allows them to get receipts for their purchases via Messenger. By building out these features further, Facebook could transform Messenger from being a mere chat app to something similar to China's WeChat which has become an increasingly popular payment platform in the country. However, the social media giant has a great deal to prove to consumers if it hopes to win them back following the Cambridge Analytica scandal where users were tricked into sharing their personal data.